Supreme Cannabis believes the world is ready to follow Canada’s lead by ending the 100-year cannabis prohibition and, as Canada’s only coast-to-coast premium cannabis producer, the company sees itself at the center of this global shift. In August 2018, Supreme Cannabis uplisted its shares to the to OTCQX market in the U.S., where the company trades under the ticker symbol SPRWF. The following month Supreme reported record Q4 revenues of CAD$3.55 million, a 71-percent increase over the previous quarter. Supreme Cannabis also recorded revenue of CAD$8.85 million for its fiscal year ended June 30, 2018, placing it among publicly traded Canadian cannabis companies with the highest reported revenue in their first four quarters of sales. The company’s growth strategy includes key industry agreements, such as its CAD$12 million supply agreement with Tilray Inc. (OTC: TLRY), a global leader in cannabis research, cultivation, processing and distribution. The agreement calls for Supreme to supply Tilray with dried cannabis for support of medical cannabis patients in Canada for the period of one year. Another key component is the company’s wholly owned 7ACRES subsidiary. The 7ACRES cultivation facility, one of the first 40 federally licensed cannabis producers in Canada, is focused on building a core competency in scaled cannabis production, which will give 7ACRES the needed flexibility to maintain leadership in the industry as the Canadian market grows and matures. Though 7ACRES is Supreme Cannabis’ flagship brand and only currently operating business unit, the company will continue to identify new opportunities to grow its portfolio of companies and build innovative cannabis businesses throughout the world. 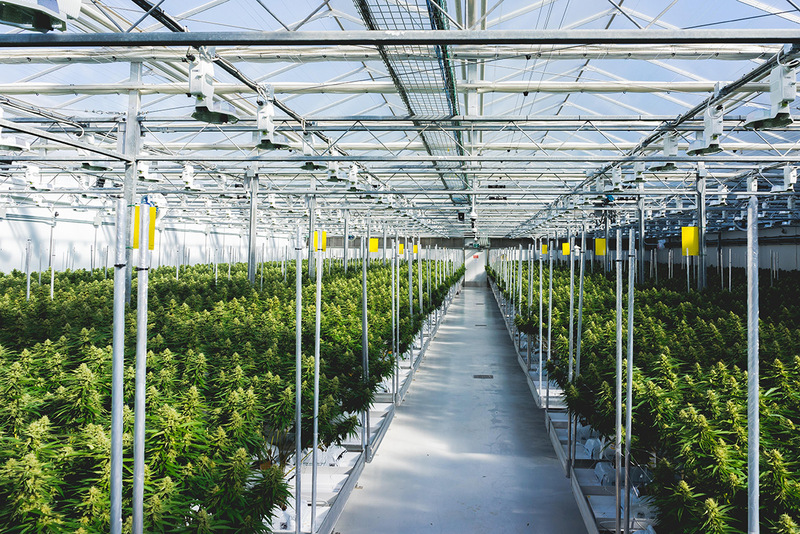 7ACRES operates from a 342,000-square-foot cultivation facility in Kincardine, Ontario, and has been federally licensed since 2016. Current capacity is 13,333 kilograms dried cannabis annually, with plans to ramp up production by mid-2019 to a rate of 50,000 kilograms per year. Supreme Cannabis seeks to differentiate 7ACRES from other licensed cannabis producers by producing premium quality product sustainably at scale. “Craft quality, commercial scale” is a slogan the company uses, and the Kincardine greenhouse employs state-of-the-art technology and cultivation best practices to strive toward that goal. Supreme identifies the quality of the 7ACRES product as the company’s primary strength and says a shared “passion for the plant” is the driver of company culture. Six Canadian provinces have signed supply agreements with Supreme, a fact the company credits to the high quality of 7ACRES cannabis. Its customers, Supreme Cannabis management says, are informed and discerning regarding cannabis, and they value a premium brand that respects their product knowledge. The company believes its high regard for customers, premium product quality, and mass cultivation capability has allowed Supreme Cannabis to emerge as Canada’s preeminent premium cannabis producer. In the Canadian cannabis market, the company has established 7ACRES as a premium brand that’s distributed coast-to-coast and commands premium pricing. The 7ACRES brand is already listed as premium cannabis product in all provinces that disclose their cannabis listing categories, and 7ACRES on average wholesales for up to one-third higher in price than other brands in the Canadian cannabis market. To further its distribution, in the medical cannabis market Supreme Cannabis has partnered with several Canadian cannabis retailers including Aurora Cannabis, Emerald Health Botanicals, Namaste, Zenabis, and others. The company’s investment portfolio also includes an equity position and long-term global distribution partnership with Medigrow, based in Lesotho, targeting the export of medical cannabis oil for the international market. Supreme Cannabis seeks to make the company an innovator in the cannabis sector regarding design of cultivation facilities and development of operation excellence metrics. The management team is confident that the 7ACRES flagship brand, the company’s proprietary technology and products, and the company’s culture of passion for cannabis will deliver consistent long-term shareholder value.